Subitter:This one had been rebound so I have no idea what the original cover looked like but title page is oh, so lovely with it’s large grease stain. 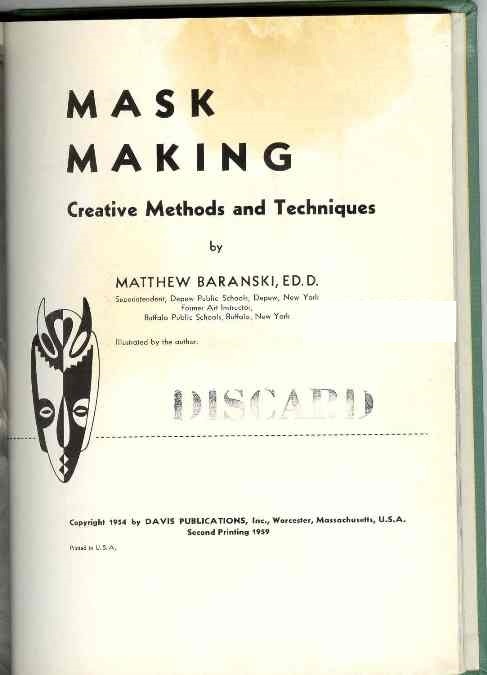 There are all kinds of awful masks in this book but I was particularly disturbed by the boy with the giant “balloon mask” head, the dead marionette laid out on a stack of books and the man making a mask on his own face. 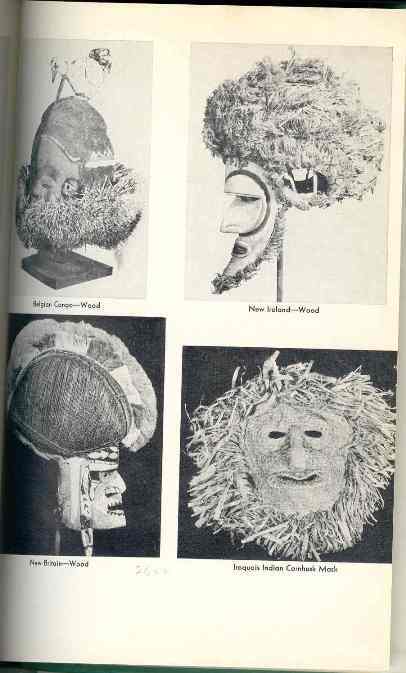 Also of note, the masks from countries/places that no longer exist: Belgian Congo, New Ireland, New Britain. 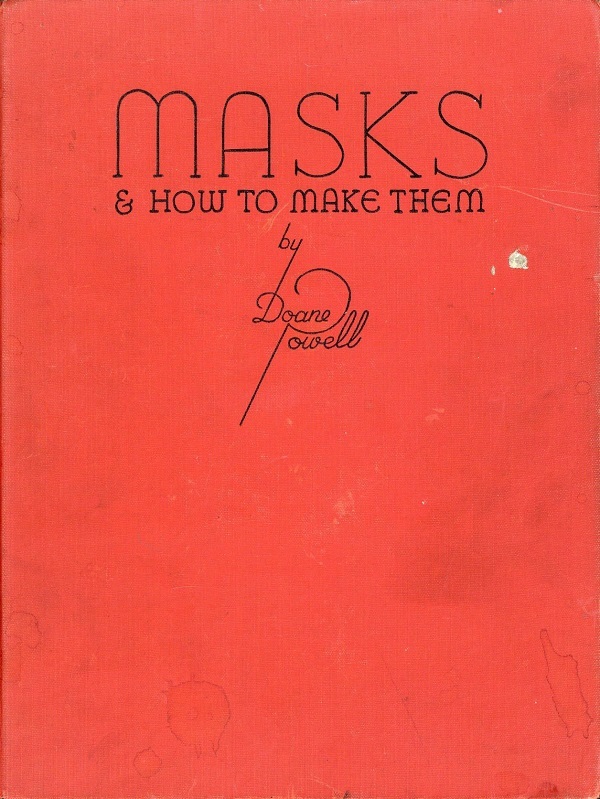 Holly: I guarantee that much nicer books on mask making have been published since 1954. 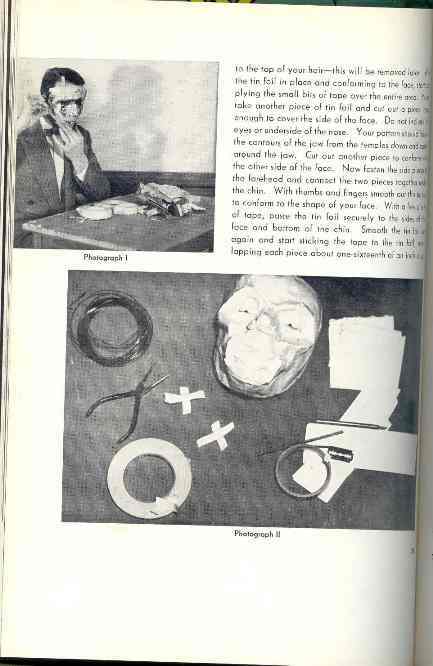 If your library hasn’t been able to afford a new book on this topic since 1954, you have bigger problems than weeding. There is really no excuse for having this in a public library’s regular collection! Next Post:Who Doesn’t Like Jell-o? I’m not clear on why we need to know the author is superintendent in Depew. 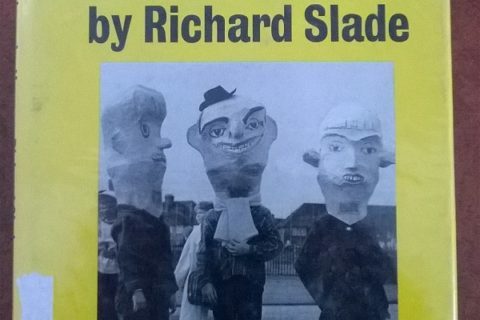 Seems irrelevent, and yet, they put it on the title page? BTW, New Ireland and New Britain are apparently in Papua New Guinea, and still exist by those names (or as Niu Ailan & Niu Briten in Tok Pisin). 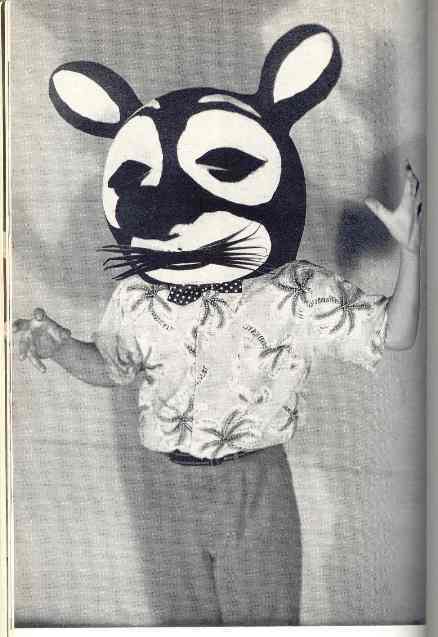 Mouse Boy is wearing a polka-dot bow tie with his palm-tree print shirt. 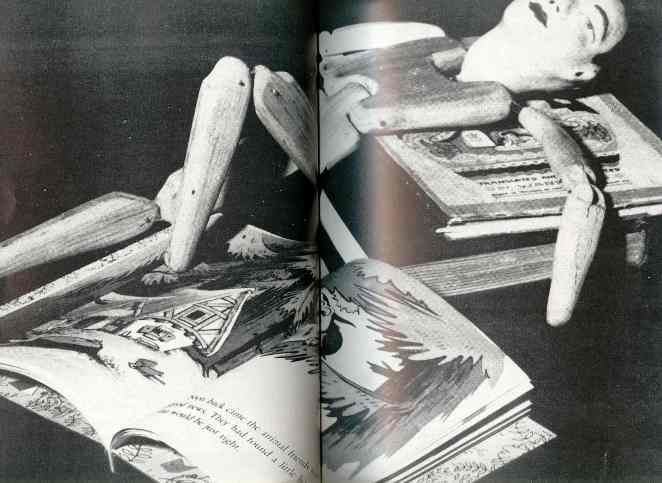 1954 was indeed a scary time. Oh this is just brilliantly terrifying. What sort of lunatic actually owned this book and why the grease stain? Never mind. Looks like something out of Donnie Darko. 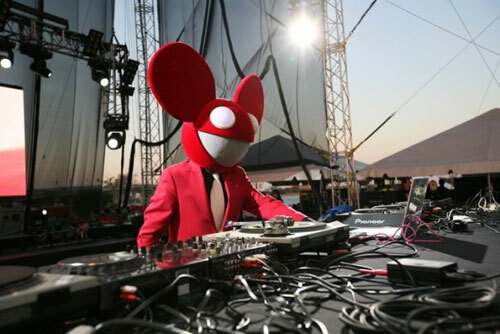 That first picture reminds me of Deadmau5.